Pippa O'Connor's easy style and approachability have won her a huge and loyal following. Now Pippa shares her top tips and insights for how to live well, look good and feel great. 'The older I've become, the more confident I am in my own skin. I don't follow trends that I know won't suit me and I've learned to make the best of what I have. 'This book is about sharing everything I've learned along the way. It's full of useful information - such as how to put on a face in ten minutes, the essential items every woman needs in her wardrobe, what to wear to a wedding, how to travel in style (and with kids! ), easy ways to create a beautiful home and how to be the perfect hostess. 'To me, anybody can be stylish, regardless of money, age or body shape. You don't need to spend a fortune to look and feel fabulous - far from it. Style is about using your imagination and feeling confident. 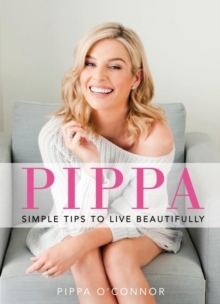 'Pippa - Simple Tips to Live Beautifully is stuffed with practical tips and inspirational advice and is the book for everyone, aged 16 or 60, who wants to discover their own personal style and to build the confidence to celebrate it.